MDC secretary-general Douglas Mwonzora says he will decide in the next few days if there is still any merit in fighting to retain his current position at the party's congress scheduled for May 24 to 26, the Daily News can report. But speaking to the Daily News yesterday, Mwonzora said he will only contest for the secretary-general's position after assessing conditions on the ground. "My initial inclination was to contest for the position of secretary-general, since I had been nominated by some people for that post. I may consider not to contest, depending on the circumstances," he said. Mwonzora said he has written to the Independent Electoral Commission, raising certain irregularities, which he said militated against a free and fair process. "There are a number of issues that I have raised with the Independent Electoral Commission in writing regarding certain misgivings I had about the process," he said. "Unfortunately, these were not attended to and at the same time, the process of the nomination was proceeding. For that reason, I felt I could not continue being in the presidential race," added Mwonzora. Instead, the province - now led by party chief whip Prosper Mutseyami - nominated Chamisa as president while Morgen Komichi, Lilian Timveos and Welshman Ncube were all nominated to deputise the MDC leader. For the position of secretary-general that Mwonzora now wants to focus on following his nomination by Matabeleland South province, Manicaland province opted for Chamisa's ally, Chalton Hwende. "It all went on well and the people of the province made their democratic choices so now we are heading for Masvingo province today (yesterday) before we do Harare tomorrow (today)," MDC organising secretary Amos Chibaya told the Daily News yesterday. 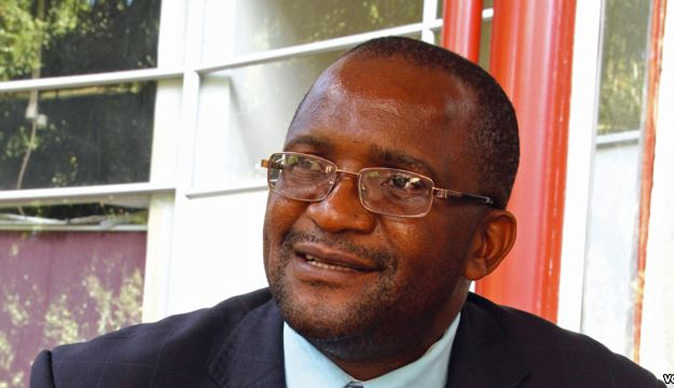 Should he decide to contest the secretary-general's post, Mwonzora will have to fight off Hwende who has been nominated by almost all provinces and Daniel Molekeli who was nominated by Matabeleland North province for the same position. At the 2014 congress, Mwonzora surprised all and sundry when he defeated Chamisa for the position of secretary-general, getting 2 464 votes against his rival's 1 756. This subsequently left Chamisa as an ordinary card-carrying member, before he was rescued by MDC founding president Morgan Tsvangirai who appointed him to the MDC national executive as secretary for policy and research. The MDC will hold its first elective congress in Gweru next month, the first since the death of Tsvangirai in February last year following a battle with cancer of the colon. There are concerted efforts by certain members of the country's biggest opposition party to abort the highly-anticipated elective congress. Already, two applications have been filed before the High Court seeking to stop the elective congress, by party members who argue that in terms of the party constitution, an extra-ordinary congress should instead have been held exactly a year after Tsvangirai's death.